This "Pup Trailer" is a replica of the original Aurora "Big Ryder" pup trailers introduced in the late 1970's. 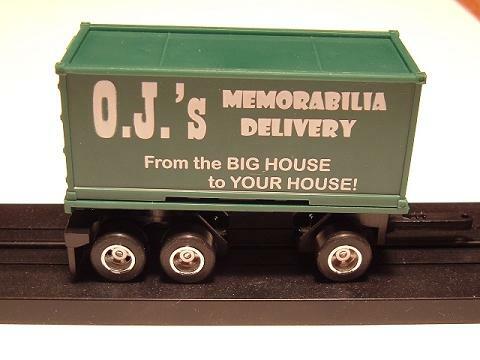 It is an original design depicting the "OJ's Memorabilia Delivery - From the BIG HOUSE to YOUR HOUSE" name. 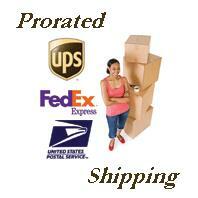 This container is green and rests on a green trailer.